Yesterday, I asked if we really want branching narratives, and this, I think is an important issue in the hypertext literature community. After all, if our narratives aren’t branching, how can they be rich and interactive without forcing arbitrary Flash games into our stories? Is there a way for only text to be interactive without forcing choices? I am a completionist. I like to watch a movie and then go back and watch it again to make sure I catch all of the interesting foreshadowing. I like to play a game and then play it again—walkthrough in hand—to make sure I found every item. 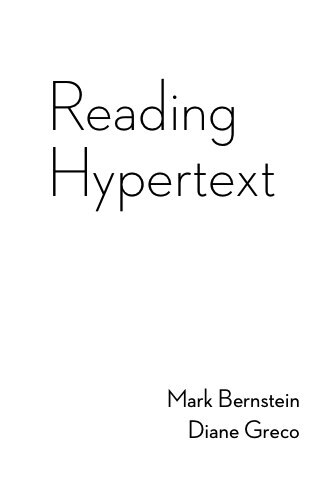 And I like to read a hypertext multiple times, to make sure that I’ve explored as much of the text as I can. Naturally, this leads to anxiety every time I have to make a decision that might close off other explorable areas or plots. But this anxiety does not arise in narratives in which I know it’s only the order of the information that changes. It’s the tree-like ones—the ones where your decision now will determine whether Fluffy lives or dies. It occurs to me that there seems to be a correlation between the time I have invested in a narrative and the willingness with which I make these types of decisions. 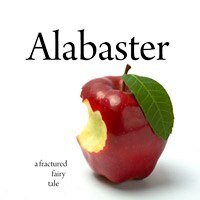 For example, Em Short’s Alabaster is a short Interactive Fiction that portrays a conversation between you, Snow White, and the huntsman who has been hired to kill you. Once you’ve selected an answer, your options will change. 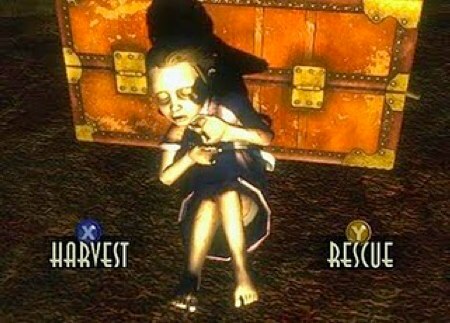 However, because of its length—and the knowledge that exhausting all possible endings will not require much of a time investment—this sort of narrative does not incite the same anxiety as, say, Bioshock, in which your decision on whether to harvest or save the Little Sisters, a conspicuous early choice, will play out over the next 70 hours of gaming. If you want to see what the consequences of that one decision were, you might need to spend another 70 hours playing it out. Of course, anxiety can be a powerful tool in aiding storytelling or enhancing the text’s aesthetic, but it does need to be recognized that this anxiety exists. So perhaps we need to approach these kinds of texts with more focus on the anxieties about depth-first readings of long narratives.